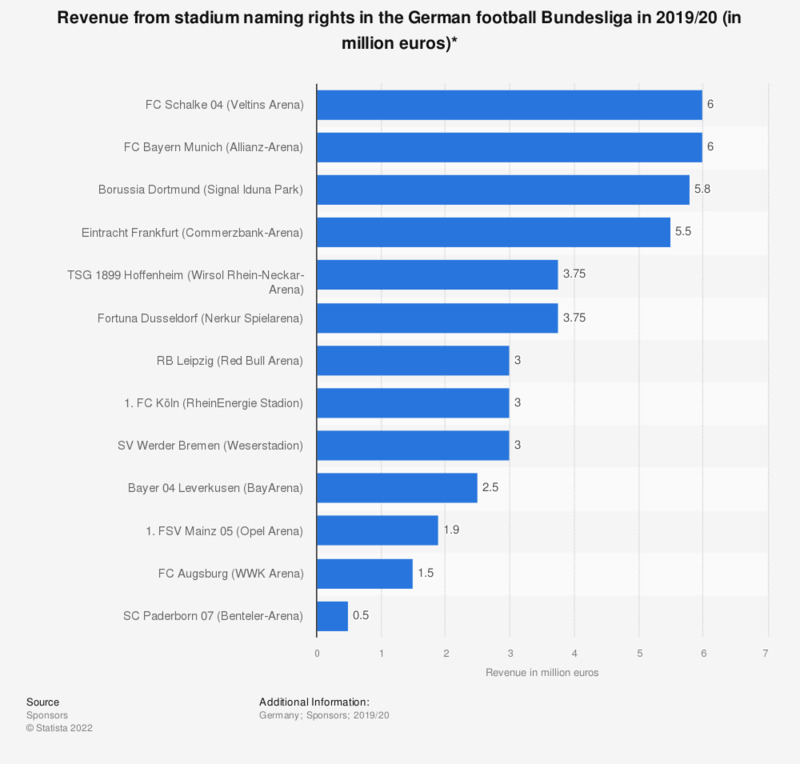 The statistic shows the stadium naming rights revenue of the clubs of the German football Bundesliga in 2018/19. Borussia Dortmund generates 5.8 million euros in revenue from the sale of the naming rights to its stadium in 2018/19. ** Average per year; contract runs from 2008 to 2038 with a total value of 20 million euros.